THURSDAY 9 BALL GRAND FINAL : HANNU WINS. Our final tournament of 2017 was won by Hannu Torpström from Finland. 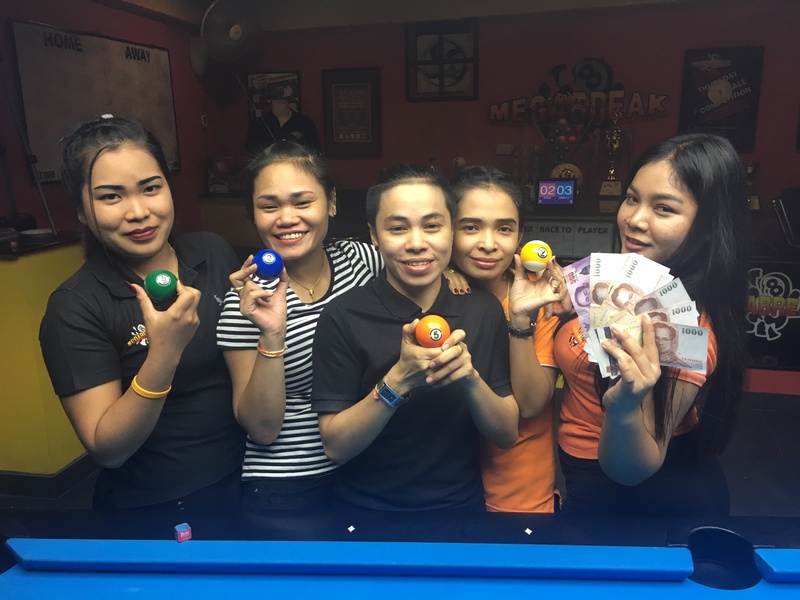 Last Saturday’s 9 Ball Grand Final for Thursday Season 19 had a full entry of 16 players and a Prize Fund of 31500 baht. 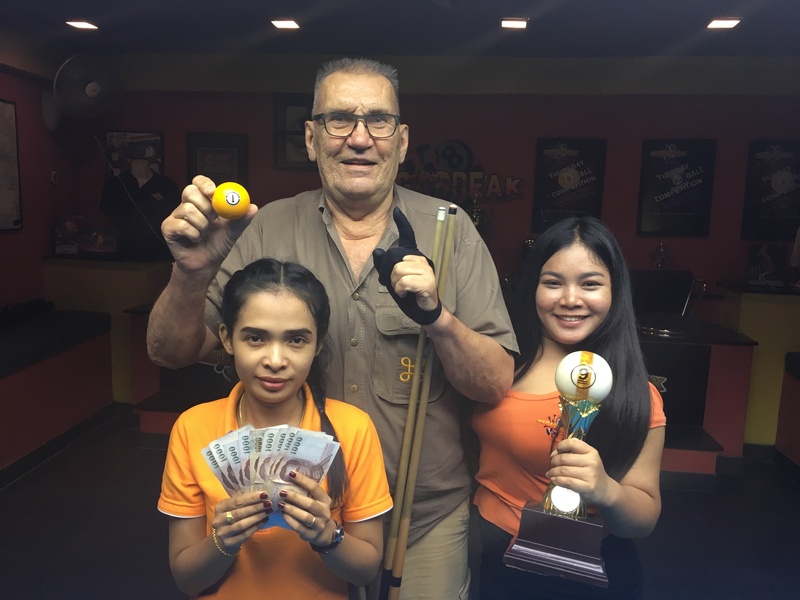 Hannu played very well all evening, going undefeated through five straight matches to lift the trophy and pocket the 1st Prize of 10500 baht. In the final he beat Thailand’s Par Radardow Inamka by 4 racks to 2 (race 4-6). 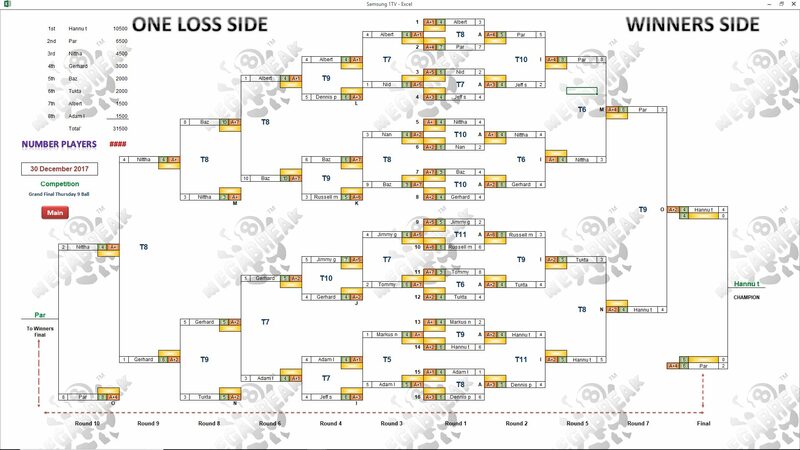 Par also played well to reach the final, only losing out to Hannu twice on the evening, and collected 6500 baht as Runner-Up. Last minute entry Nittha Punsuk was next on the Roll of Honour, receiving 4500 for finishing 3rd, and she was closely followed by Gerhard Schebler from Germany in 4th, who took home 3000 baht. 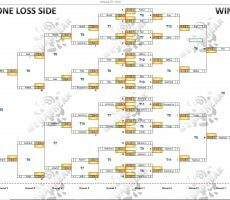 Champion : Hannu (A+2) – 10500 baht. Runner-Up : Par (A+4) – 6500 baht. 3rd : Nittha (A+) – 4500 baht. 4th : Gerhard (A+2) – 3000 baht. 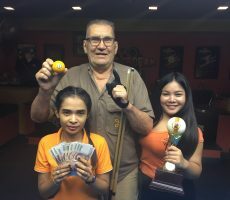 Equal 5th : Barrie Sherman (A+7) and Tukta Juppejup (A+2) – 2000 baht each. 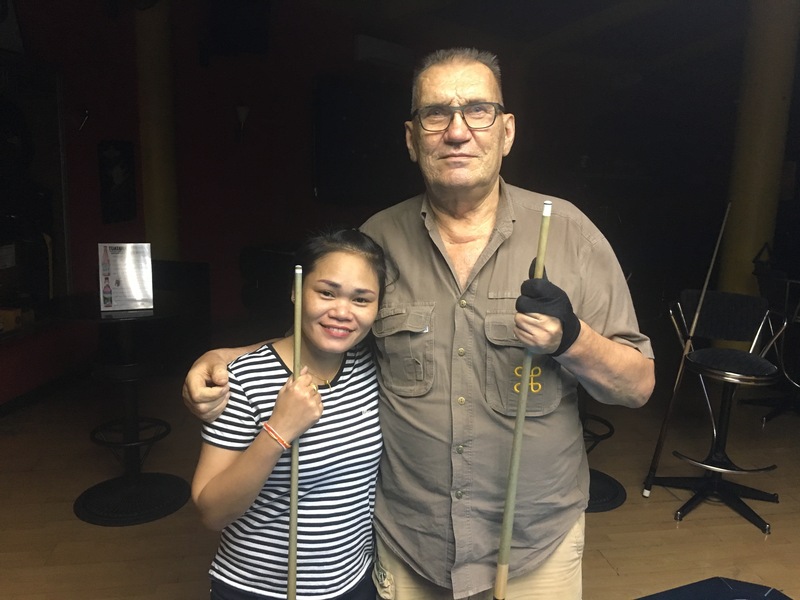 Equal 7th : Adam Lux (A+1) and Albert Gringhuis (A+1) – 1500 baht each. 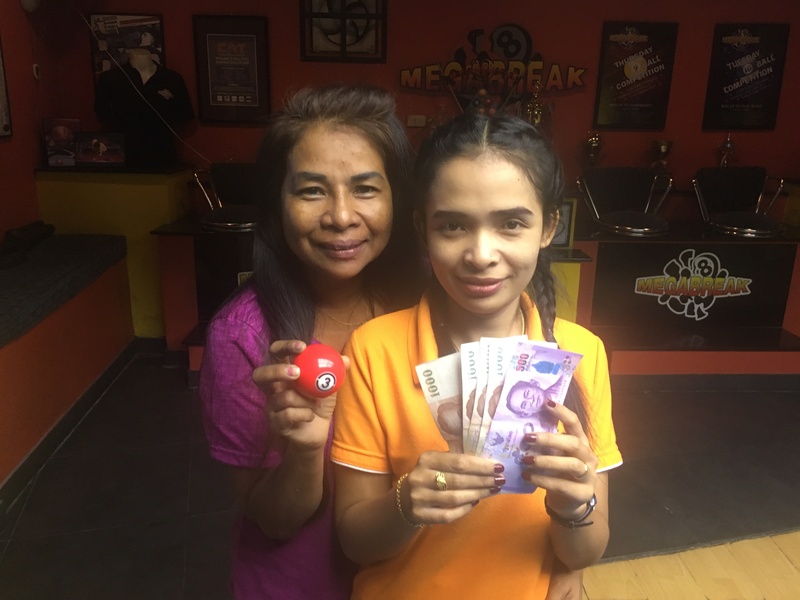 There was a bidding war in the Player Auction which created a massive Prize Pot of 26800 baht. 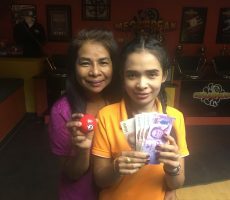 The 1st Payout was won by Billy Hayes from England who paid 2000 baht for Hannu, and collected 10800. He also bought Nittha in 3rd, adding an extra 4800 to his winnings on the evening. 1st (40%) : Billy (Hannu) – 10800 baht. 2nd (30%) : Charlie Ayres (Par) – 8000 baht. 3rd (18%) : Billy (Nittha) – 4800 baht. 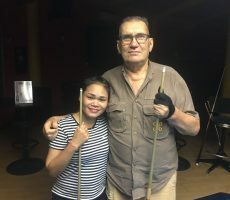 4th (12%) : James Mostag (Gerhard) – 3200 baht.